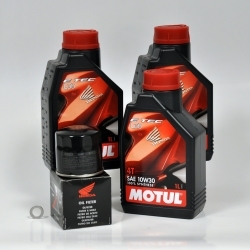 Special pack to do the oil change at home at the best price with Honda products. 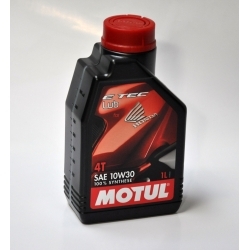 Motul engine oil E Tec 10w30 for Honda CB500F, CB500X, CBR500R motorcycles. If you change oil filter when changing your oil, you need 2,7 liters. 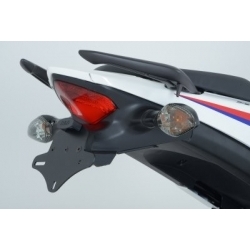 R&G aluminium fender eliminator for Honda CB500F, CB500X and CBR500R. Removes the big stock plate holder with this. Mounting Plates for Turn Signals. Needed to mount turn signals. Sold as pair. Honda drain seal made of aluminium. Change it everytime you change your engine oil. Exhaust for your Honda CB500F, CBR500R and CB500X, manufactured from AISI304 stainless steel with a black satin polished finish. Sport end cap manufactured from injected aluminium with a bright polished finish. Shipped with removable db-killer. S2 passenger grip shutters. 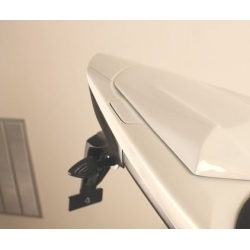 Allows you to replace passenger grips with painted shutters. 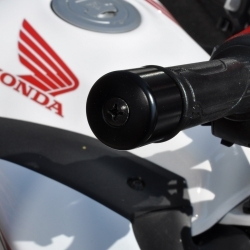 Honda original handlebar cap for your CB500F/CBR500R. Sold individually with screws. Honda OEM lever for your CB500 13-15 series. Select left (clutch) or right (brake).